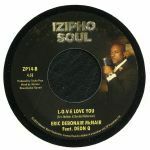 Discos en vinilo y CD de Izipho Soul. Review: Soul collectors have long considered Melvin Brown and James Matthews' "Love Stormy Weather" to be a slept-on classic. 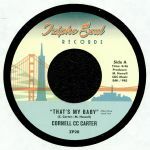 Initially released (and largely ignored) in 1976, it sits somewhere between the acoustic soul of Terry Callier, the dewy-eyed goodness of Rotary Connection, and the sumptuous jazz-funk that was all the rage in the late 1970s. Don't take our word for it, though: check out the sound clips for yourself. On the flipside you'll find a previously unheard gem from the duo: the impassioned, tear-jerking torch song "Crying For Your Love". Naturally it's a little fuzzy round the edges (the masters were probably sat in someone's loft for 30-odd years), but still sounds powerful and emotional. Review: You'd be forgiven for not knowing Epicentre's "Get Off The Phone". Until 2014, when it appeared on a Light In The Attic compilation, this near perfect slice of jazz-funk/proto-boogie goodness had only even been available on an obscure 1978 collection celebrating local bands put together by a Seattle radio station. It's well worth a single release, not least to get a decent quality pressing suitable for club plays. 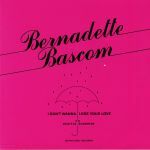 The unknown band's original version - which features a suitably dewy-eyed vocal from Bernadette Bascom, eyes-closed electric guitar solos and warm period instrumentation - is this time accompanied by a previously 1980 re-make that's arguably even better thanks to the presence of spacey synthesizers and elastic slap bass. Review: Izipho Soul recently described Frederick Davis as "one of Cleveland's hidden gems". This tasty seven-inch, which contains two tracks recorded way back in 1992 but never before issued, certainly backs up their assertion. A-side "Shoulder to Cry On" is something of a sparkling, late night synth-soul treat - a close-dancing slow jam that sees Davis's fine vocal rise above a backing track rich in chiming electronic melodies, post New Jack Swing R&B style beats and sensual saxophone solos. Flip for the similarly minded but arguably more elastic "Let Go", where the unheralded Cleveland singer whispers seductively over a killer synth bassline and more cascading '80s soul melodies. Review: Clarence Mann is from Alabama. He was 14 years old when he completed his first recording with a high school choral group on RCA Records. After high school, he sang with various bands while attending college. In 1973, he released his first single entitled "Man's Temptation / Have Faith In Me" on T&M Records followed by "Please Accept My Love" and "You Met Your Match" respectively. After his solo career, he joined the group True Image as lead vocalist. Their recordings were released on a subsidiary of the famed TK Productions. The group continued with the independent Alabama label Juana Records when T.K. closed its doors. True Image released two singles in 1980. After these recordings Clarence Mann did several different versions of the song "Come What May". The original recording was recorded by John Gary Williams in 1973 and was released on Stax Records. Although Clarence Mann did several versions of it, only two of them with True Image have seen the spotlight. Intérprete: Mukatsuku Records Chart, I Love 45's! Review: This Precisions (Philly Group) were a different group to the Detroit Precisions.These two tracks come from when they were working with Philadelphia producer Marty Bryant. 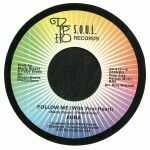 We can imagine that some Northern Soul DJs tracked down copies of the scarce original pressing of this fine 7" for B-side "My Sense of Direction (Is Blown)", a heartfelt soul shuffler with serious dancefloor chops. Arguably even better, though, is A-side "Take a Closer Look", a slower, simmering chunk of doo-wop influenced goodness that's as heartbreaking as it is sublime.